Integrity - Is being true to ourselves. Only if we are true with ourselves can we aim to be true to others. So there is a big element of Self Awareness and Self Respect involved in this. Only if we have this character strength will others trust us. Integrity is about walking the talk! Folktales have handled Integrity in many ways - cautionary tales that tell you what happens when Integrity is lost. Some tales use sacrifice to illustrate Integrity, where the Hero/ Heroine have to give up something in order to keep their word. Some wonderful tales such as Punyakoti the Cow and Arputha the Tiger. Though the original version tells us that the tiger jumped off a cliff and sacrificed himself, in order to atone for his sin of desiring such a virtuous cow as Punyakoti, others have adapted this tale (called as disordered narrative), to have the tiger let go of the cow, in peace. Another tale is the Boiled Seeds ( Empty Pot story) that is supposed to be Chinese in origin, which tells us about a little boy who becomes the emperor for he admits that he could not grow anything from the seeds given to him and it turns out they were boiled seeds. This particular story called : The 3 Diamonds; is a Tamil folktale. There is an online version by David Heathfield which I have used for my reference. I like this story at many levels for it shows that integrity can exist even in a person who seems to have done something wrong. Yet to evaluate what it means to us is of utmost importance -which is being true and honest to ourselves is more important than any other strength. In a village lived a young boy with his grandmother. Having lost his father and mother at a very young age, he was raised by his grandmother and also being poor and with no other means he had turned to robbing as his profession. Weary of his ways, his grandmother begged and pleaded with him to give up robbing or take up an honest trade or atleast to speak the truth. The young boy confessed that he robbed to feed themselves and as he knew no other trade the only thing he could do was choose the last. He vowed he would always speak the truth even though he followed a dishonest profession. One day as he was out on his usual rounds looking for a house to rob, he came across a beggar. Let me tell you that this beggar was actually the Rajah in disguise who ventured out of his palace at times to understand the people of his kingdom. "Where are you going?" asked the beggar to the thief. Remember his vow to his grandmother? Well he had to tell the truth to the beggar. So he told the beggar his plan to enter the Rajah's palace and steal something from there. "HaHaHa, the Rajah's palace? Well I can help you there, Come with me." said the beggar and he took the thief to a street adjacent to the palace and told him in a hushed tone to enter when the guards were changing and to go right to the Rajah's throne room. Once inside, he was to look for a box under the Rajah's throne and to open it for inside that he would find a treasure. 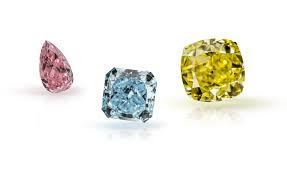 He picked up all 3, but just at that moment he hesitated and asked himself the question: "Do I need all 3 diamonds. Even one will give me a lot of money with which I can take care of my grandmother and myself"
Having had this thought and it being a truthful one, he left one in the box and took only two with him and left the same way he had come. Outside the palace he met the beggar. "Did you find the treasure?" asked the beggar. "Yes I did. Thank you for your help and it is only correct that I share this with you" he said and gave one diamond to the beggar and quickly left from there.. The beggar followed the thief silently and saw him enter his humble hut at the edge of the town. The beggar now went back to his own place. Yes! Went back to the palace. The next morning he called his Mantri and said: "There has been a robbery last night, search the palace and find out what is missing". The Mantri searched the throne room thoroughly and soon found the box under the throne open and two of the diamonds missing. "The thief appears to have taken only 2 diamonds, what a strange fellow" he said and quietly instead placed the diamond in his own pocket. "Rajah the diamonds are missing" he announced grandly and showed the empty box. "Yes. Most definitely" said the Mantri. "The thief lives in a hut at the edge of town, go and bring him to the Town square immediately. Justice will be done" said the King wisely. The Mantri hurried to the hut and quickly dragged the thief to the Town Square where the Rajah too reached very soon. A guard stood ready to chop off the thief's head and the whole town had gathered to see the tamasha. "Yes I have stolen, but I took only two, not three" said the thief, for he had vowed to tell the truth to his grandmother. "Liar" shouted the Mantri, "Which thief takes two when he can take three, show them to us"
" I have one here with me but the other I gave it to a beggar for helping me"
"Again you lie, which thief shares his loot. Off with his head" Shouted the Mantri almost hysterically. "Wait, he tells the truth. I was the beggar in disguise to whom he gave the diamond" said the Rajah to the shocked people as he opened his palm to show the other diamond. "As for the third diamond, I think I know who may have it. Guards, search our Mantri's pocket inside out" said the Rajah. Correctly enough the guards found the third diamond in the Mantri's pocket. "People of my land, tell me who should I punish now? This scoundrel Mantri or the honest thief?" asked the king. "The Mantri must be punished and the thief rewarded" yelled the people in one voice. "This boy's honesty and integrity is worthy of him becoming my advisor, so let him decide what is to be done to the other" said the Rajah.
" Everybody deserves another chance, so let him go, but let him be stripped of all his status and wealth. Let him know what it is to be poor. I too have made mistakes and this is my second chance. I promise to tell the truth always and to serve this land under your wise rule Oh Rajah" said the new advisor.